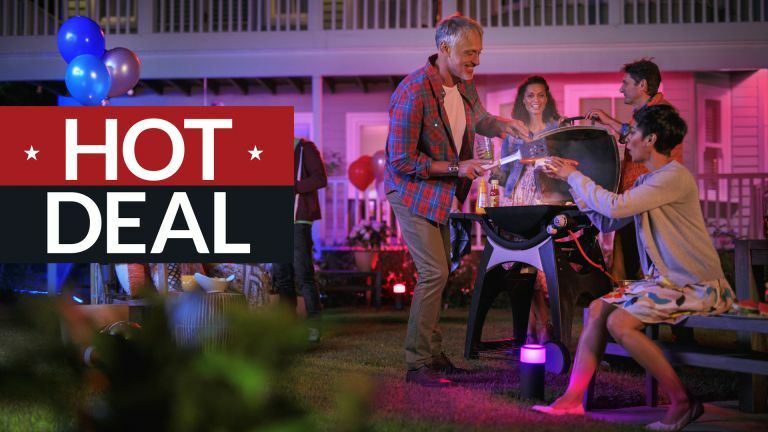 It might not necessarily feel like it today but summer is nearly here, and Philips Hue Outdoor lighting is among the best you can get. Right on cue, the Amazon Spring Sale has some early deals on – yes! – Philips Hue Outdoor smart lights. There's 5 bundles in total with a variety of light pairings and motion sensors to turn them on when you – or burglars – approach. There's a choice of colour and white lights, with full weatherproofing and Philips' Hue usual intuitive control via app, or voice, via Siri, HomeKit, Google Home, Amazon Echo and more. It's one of a small but perfectly formed range of 'pre-sale' deals currently at Amazon. • Lights and sensor are weatherproof to IP54 standard. 'This Philips Hue outdoor lamp is specially designed for use in outdoor environments and has undergone rigorous tests to ensure its performance,' you'll be glad to hear. • The app lets you turn lights on and off, and they can also be set to activate (and turn off) based on whether you are home or not, using geolocation via your mobile. Timers and schedules can also be programmed. • Sensor turns on one or multiple lights when movement is detected, but only when it's dark, thanks to a 'dusk to dawn' sensor.